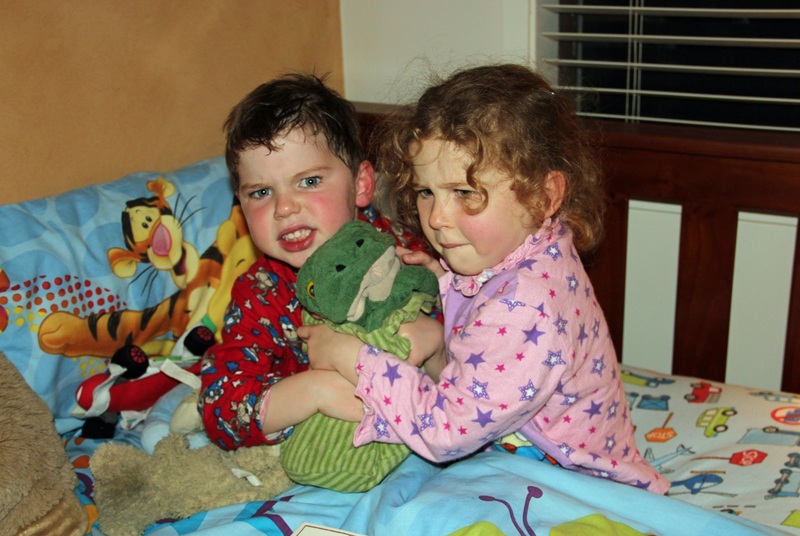 We were very excited to have Ribbit come to stay with us this weekend. Ribbit joined us for a game of mums and dads, and took a trip to the shops in the stroller with Phoebe. 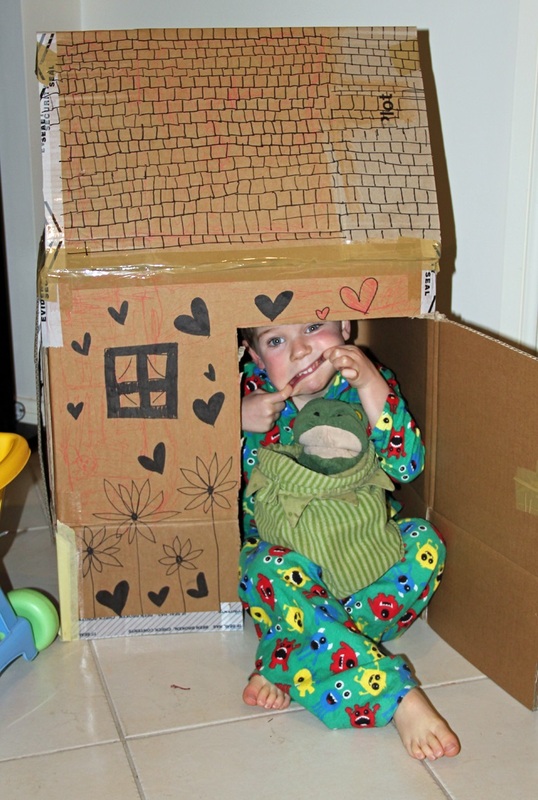 It was a rainy weekend (again), but Blake and Ribbit stayed warm and dry in the cubby house that Daddy made from a cardboard box. We pulled faces together. Luckily the wind didn’t change. 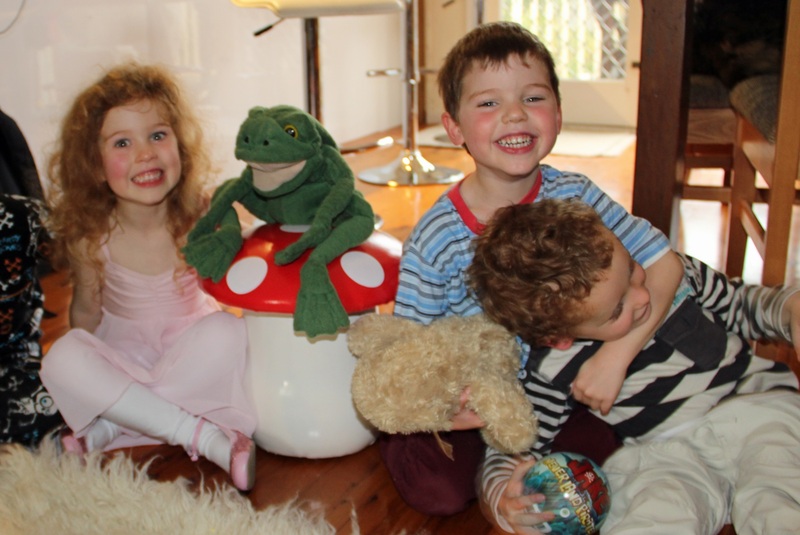 We took Ribbit to visit our cousins, who have a special toadstool that Ribbit loved to sit on. That’s our cousin with Blake in the headlock. 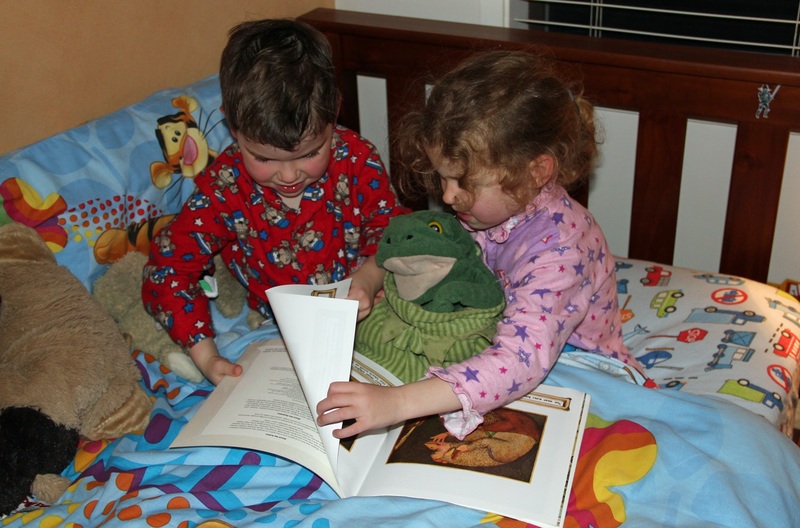 Ribbit’s favourite thing was reading bedtime stories with us! Thanks for coming to stay, Ribbit! We had a BLAST!!! Do you have a class pet or mascot? Did it survive its stay at your place? I just love the last photo. I printed it and stuck it into the kind journal, and hubby said, “Are you really putting that in there?” I just think it’s hilarious! Weeelllllllll… it was the receptionist at Steve’s work. She had to entertain sick Phoebs one day, so Steve made the box, and the lovely receptionist decorated it. Definitely NOT me! Ha! You’re right, those tiles are DEDication! Bahahaha at Phoebs and Blake in that last photo. Our family has several similar ones that tended to come out during the 21sts…. Oh yes, I couldn’t leave that one out. It is the best shot! The kindy teachers had a good laugh, too. Hehe.